Faith & Works Meeting 3/17/2013 | Travis the Warrior --- Kickin' Cancer! We were able to attend our Faith & Works Meeting this afternoon with Travis! This was a huge positive for us since our F&W families are an extended part of our family and they have been such an important part of our lives. Since so much in our future is unknown and out of our control, we have been setting small, short-term goals so that we can remain focused on the near term and what we can do to help Travis get stronger. For example in the hospital, in order for us to be able to go home, Travis had to be able to eat (and of course go to the bathroom) before they would let us leave. So, we focused each day on anything Travis wanted to eat like pizza, tequitos and his most favorite, McFlurries. When we got home on Thursday, we talked about setting a goal of being able to go to our Faith & Works meeting on Sunday, even if it was just to stop in to say hello, and Travis worked hard at continuing to do more and more each day so that we could attend. 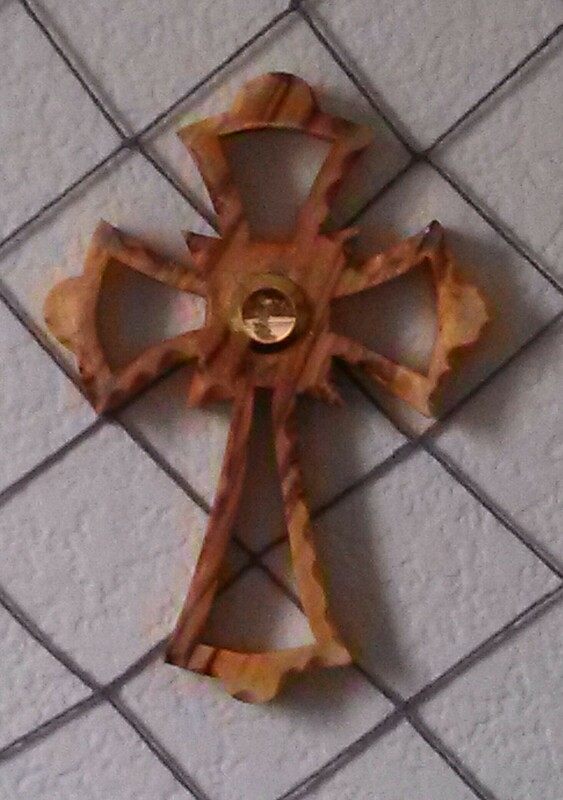 At church the past weekend, Phil and Tracey said there was a group of Christians from Jerusalem selling hand carved items made out of 2000 year old oak. They picked out a beautiful cross that had soil from Jerusalem encapsulated in it and presented it to Travis on behalf of the group. What a very special and thoughtful gift! It is now hanging right at the head of Travis’ bed. It was great to get together with everyone and know they are with us supporting Travis and our family. We are looking forward to our Works event helping to serve at Father Joe’s Village even though most likely Travis and Lynne will be in Houston during that time. We arrived home to find a huge meal delivered by the Brucia family…WOW!